Education is a key factor in the development of a nation. Technical schools, technology courses, as well as higher education institutions play an important role in this process, contributing to the training of professionals and skilled-labor workers. The sector requires investment in order to keep up to date, as well as continually seeking a closer relationship with private sector companies, focusing on innovation and technological development. Practical training is the most efficient way to promote the development of students. Therefore, NOVUS has developed a tailor-made academic work bench. A complete, modular and fully flexible solution. The benefits are: ? Training and development of students through practical experience; ? Similar technologies and equipment as used in industry; ? Consolidation with the theoretical knowledge acquired in the classroom. Technical education institutions which provide services to the industry through testing and research laboratories, can use some of the monitoring solutions offered by NOVUS. These laboratories are usually equipped with standards and equipment for sample analysis and should have a strictly controlled environment. Some of the solutions offered are: ? Onsite monitoring with fully wireless devices; ? 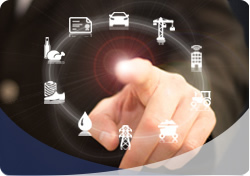 Integration with supervisory systems, dataloggers and database; ? Monitoring locally and over the Internet using the NOVUS M2M service; ? Ethernet integration for sending e-mail and SMS. • Develop and test their own projects. • Integration with supervisory systems and data loggers. • Set up a programmable logic controller.